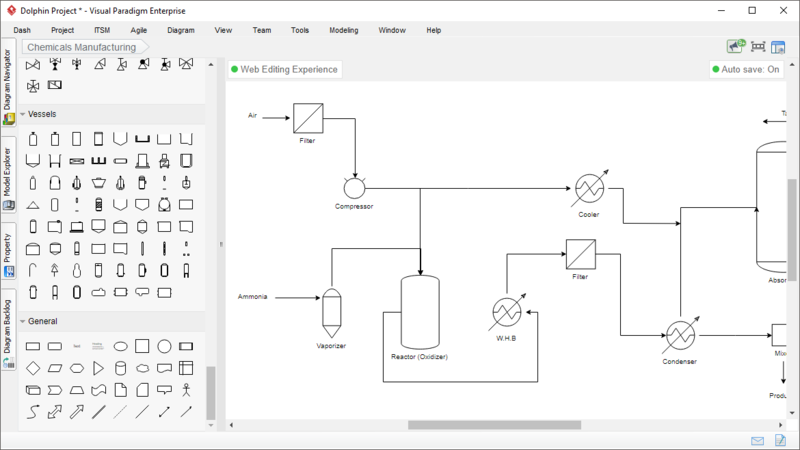 Visual Paradigm features a Process Flow Diagram tool that you will love working with. 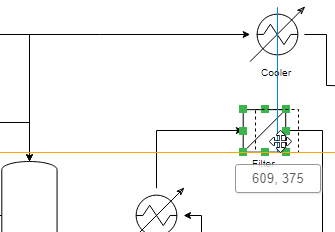 The PFD tool offers an intuitive drag-and-drop interface and a large volume of PFD symbols that suit different industries and purposes. 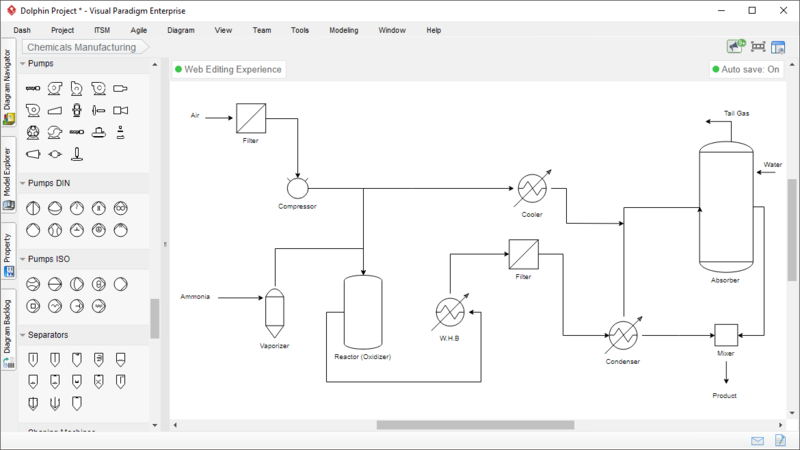 You can create a Process Flow Diagram quickly and easily, and share the result with others through a range of image formats. 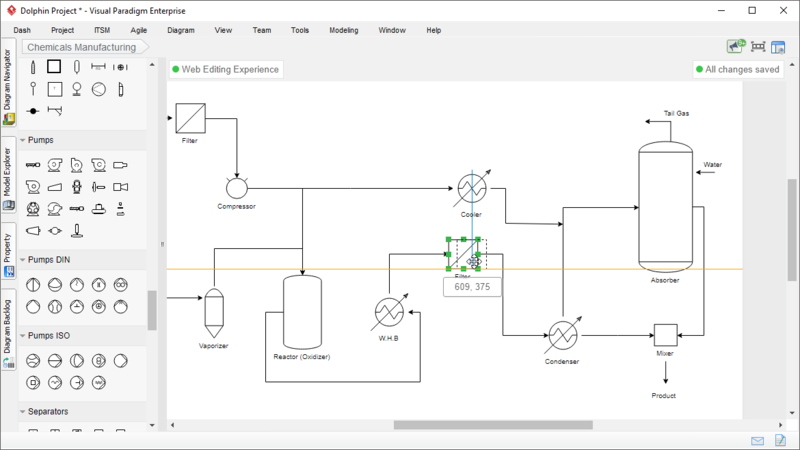 Cut down hours of time with drag-and-drop shape creation, alignment guide, re-usability support, quick formatting tools and more. 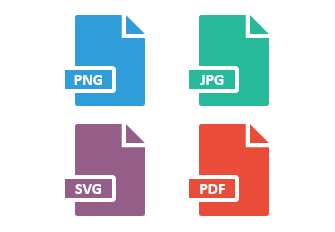 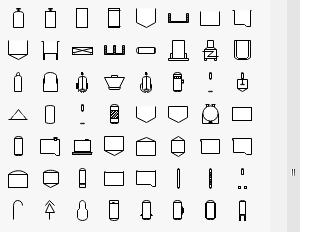 Vast export options that facilitates sharing and communication: JPG, PNG, SVG, PDF, etc.